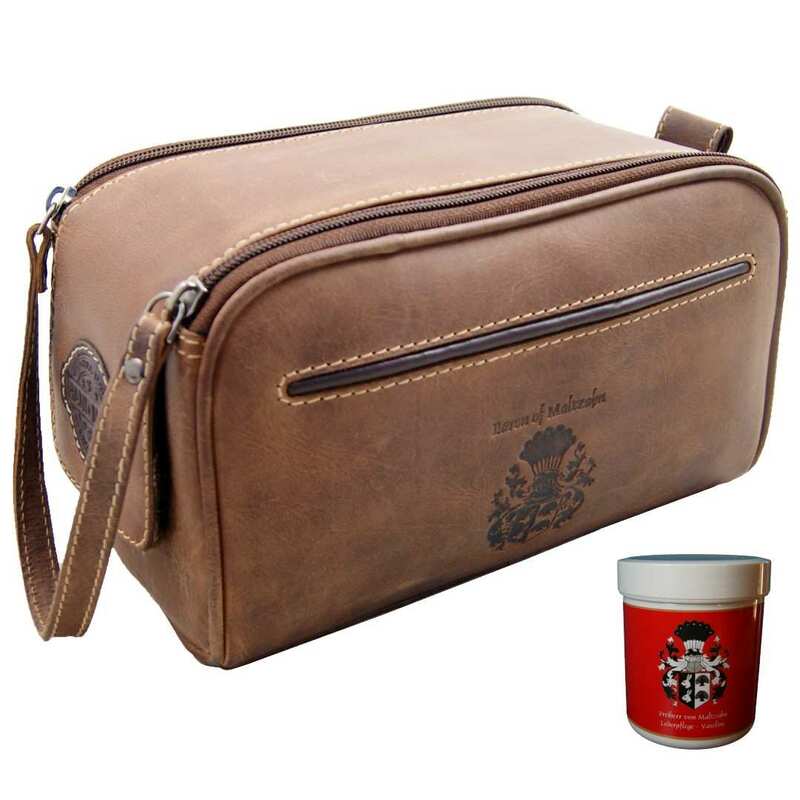 Product information "Toiletry bag COUSTEAU of brown Leather"
Are you looking for a functional and stylish wash bag for the next trip? Then take a look at the fancy bag COUSTEAU! 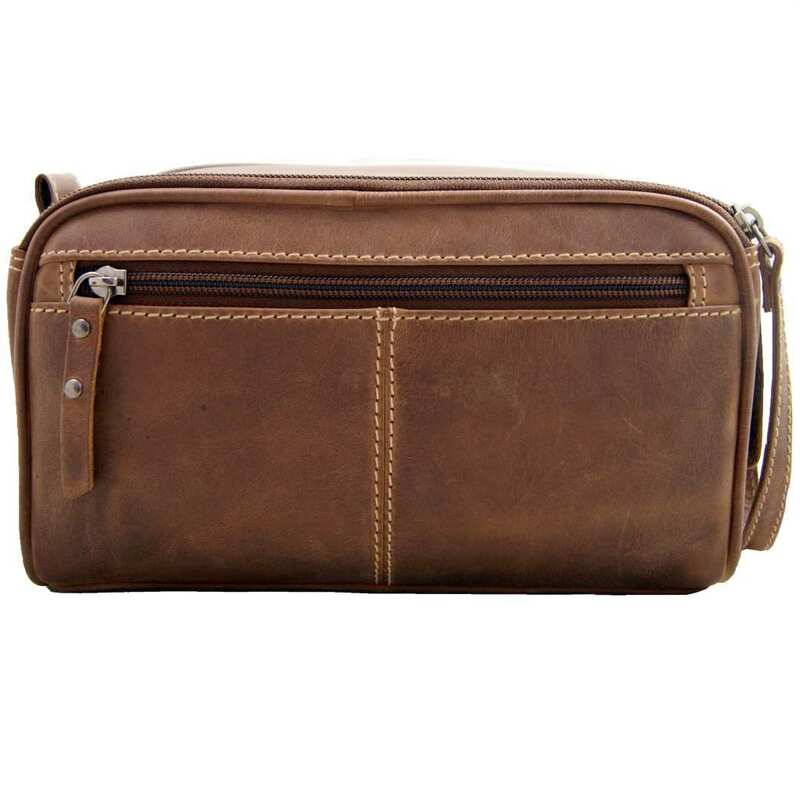 This modern toiletry bag is made of fine ECO-leather and offers lots of space for toothbrush, make-up and much more. Each article will find its space in one of the many pockets. Thanks to the elaborate processing, this wash bag of ECO-leather is not only practical, but also convincing with its natural design. The nice toiletry bag COUSTEAU of the leather bags’ Collection BARON of MALTZAHN captivates by its clear and natural appearance. This bag is produced with fine, unadulterated ECO-leather and follows a clear line. 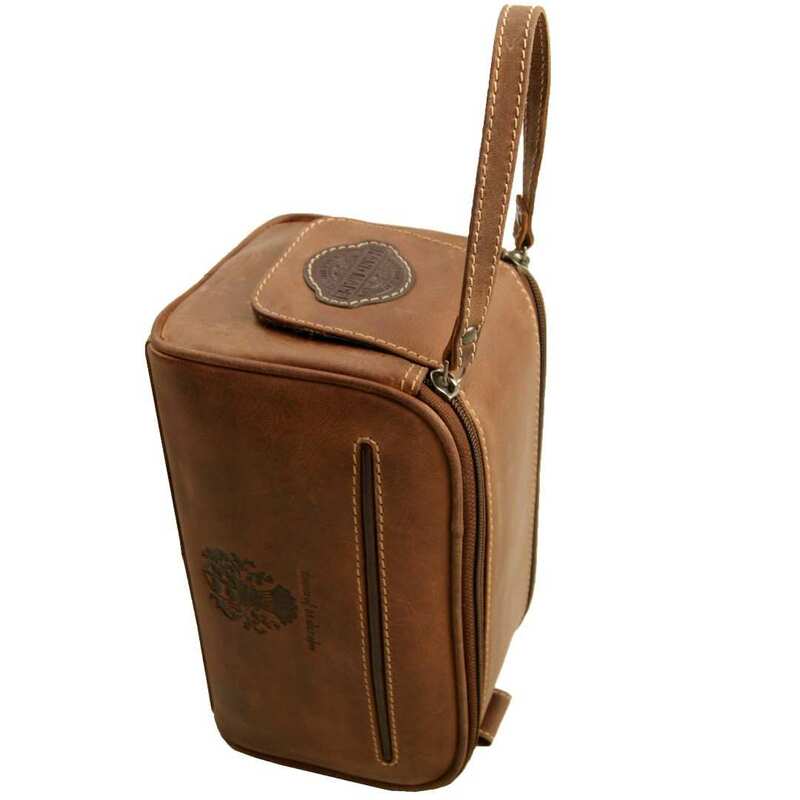 The rounded corners of this rectangular bag, the smooth-running zippers on the top – joined by a practical carrying strap ̶ and the embossed crest on the leather surface, make of this article an ideal companion for every trip! The toiletry bag’s size ̶ 9.1 x 5.1 x 5.1 in (23x13x13 cm) – provides enough space for all hygiene products you need on a daily basis. 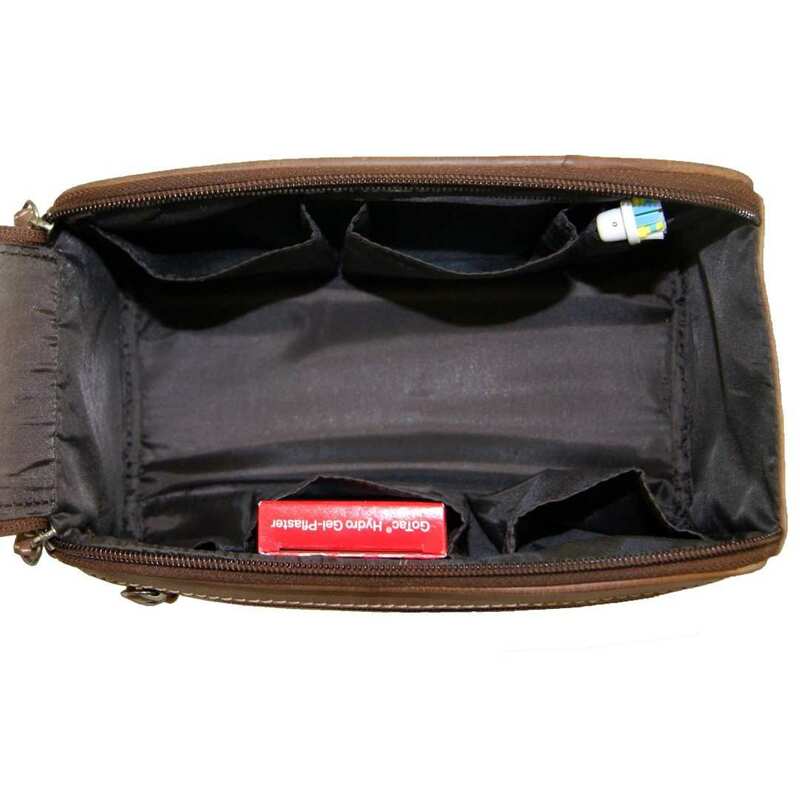 Directly under the zippers you will find a wide main compartment for bigger articles, whereas smaller items find their space in the six inner pockets. Thanks to the high quality processing of this product, your toiletry bag COUSTEAU of ECO-leather will last a whole lifetime just by taking proper – but simple- care of it. 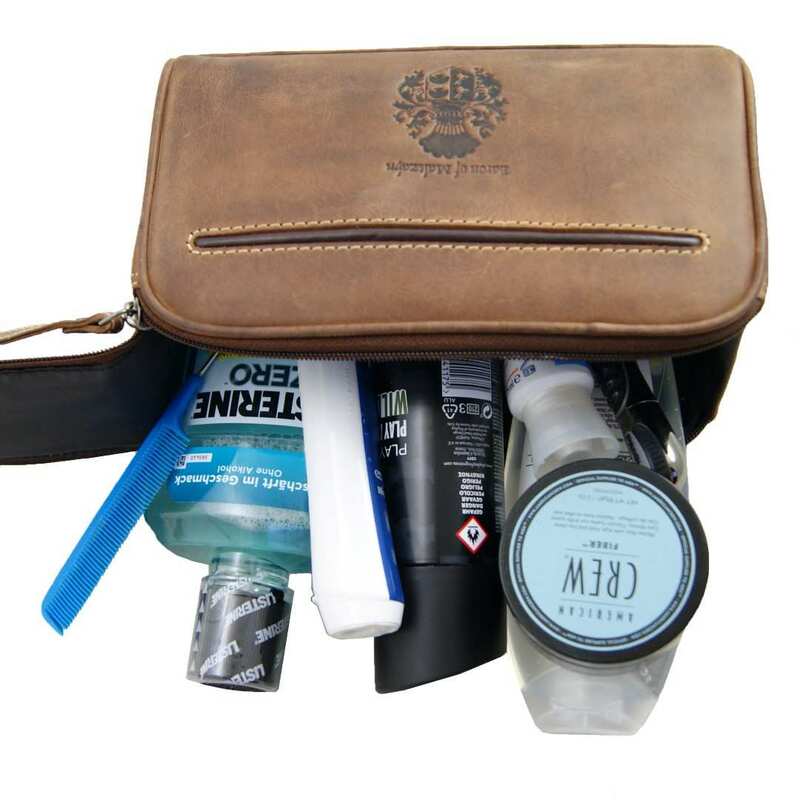 Enjoy your next trip accompanied by the fantastic toiletry bag COUSTEAU of brown ECO-leather! 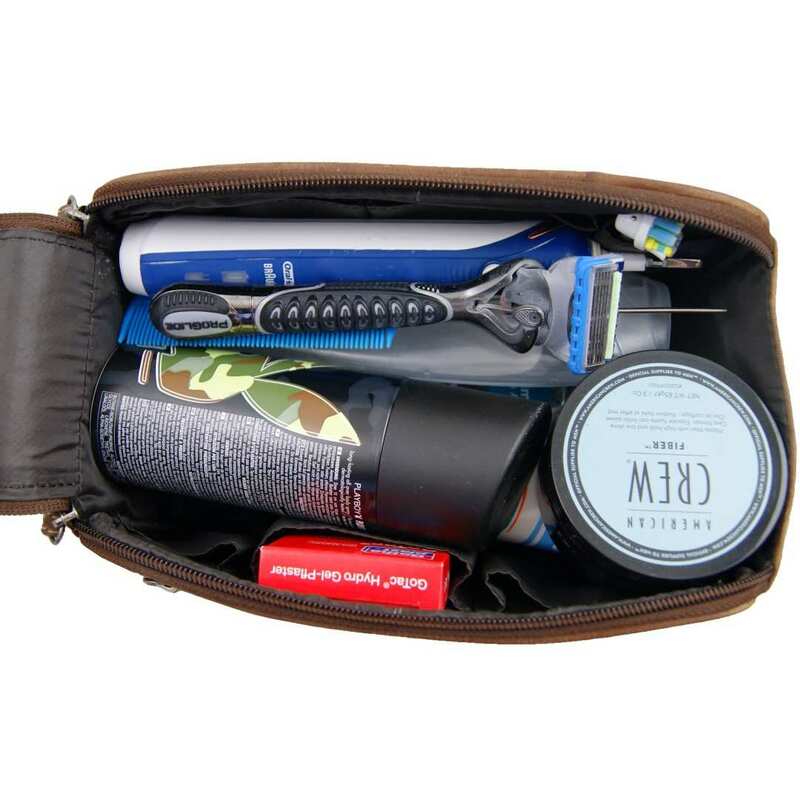 Reviews for "Toiletry bag COUSTEAU of brown Leather"